Our national parks have been described as America’s Best Idea. They belong to all of us and provide tremendous opportunities, but require us to be responsible stewards as well. In 2015, America’s national parks saw their highest visitation rate yet, topping 300 million for the first time ever, just in time for the centennial of the National Park Service (NPS). The NPS used 2016 and the celebration of their hundred years of service as an opportunity to promote their Find Your Park campaign, their latest effort to get more people outside to learn about and enjoy nature, as well as visit museums, local parks and historic places. In addition, the NPS launched the Every Kid in A Park program, which provides every fourth grader and their family free entry to national parks for one year. Some wonder how increased visitation in recent and upcoming years may negatively and positively affect our wild lands, and how we might curb the negative impacts. I think that ecotourism is hurting our national parks. I agree with this article because it impacts wildlife, ecosystems, the historic heritage parks are designed to protect. 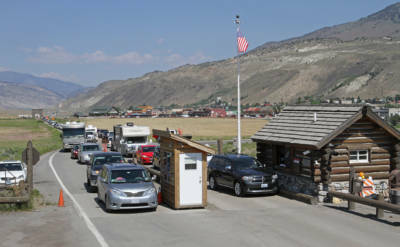 Yes, it is a nice way to bring in more visitors, but it hurts the wildlife and ecosystem. We are already doing so much harm to the wildlife and ecosystem and we do not need to add more. It can harm the wildlife because it might scare the animals away and people might leave food/trash behind, which the animals will find and eat it. Plus, there would be even more constructions and it’s not good for animals nor the earth. Yeah, i think its totally fine if people want to travel to these areas, or out into nature to experience it, but it needs to remain small scale. The for of mass travel and interaction that ecotourism is bringing on is completely negative towards the environment and its inhabitants. I believe that it’s important to have national parks and to experience them. However, I do not believe that the tourism aspect of it should be done because of these animal-people incidents resulting it fatality. I don’t think that having national parks serving as a tourist spot is a good idea either because of how people treat the environment, thus, they should have better and stronger laws for letting certain people in at a time. It needs to be taken care of and regulated more. Here’s a link to talk about the economic benefits of national parks in Florida, providing jobs and bringing in alot of revenue. This reveals the business interest national parks may have. I agree with you as well. However, it is interesting to consider what would happen if there was a decrease in regulations for when the park could be visited or is, “seasonal.” Should parks regulate when visitors are allowed? Wouldn’t there be a more steady source of income without these regulations. Ultimately, I don’t see how controlling when visitors are allowed in the park protects wildlife. Tourism is important for economic growth for the surrounding communities. Or, in response to the issue of the bison calf, should parks be off-limits when the animals are young and vulnerable, or when the plants are most likely to be harmed by human feet? I like the way you phrased your ideas and put in your beliefs, and i agree with everything that you’ve mentioned, especially the tourist. Sometimes, even locals, and people that know better do the simplest things that hurt our wild life environments. As much as i’d like to believe that it’s creating positive awareness it could not as well. I strongly believe that ecotourism is taking a downfall due to trying to make wild life more human friendly, and that is not OK.
I’m not sure if i completely agree with you here, but I see where you’re growing. With that I see it more as places without human contact tend to do a lot better, although that isn’t the case and that some people still interfere It’s not safe for them or our community. Laws are already passed but none for someone to take seriously because well, “It’s just nature”. Do to that I don’t think there should be human interaction with nature. This article reminds me of New York Times publication I read a while back about “voluntourism.” Voluntourism is the idea that individuals who travel to underprivileged countries with the intention of volunteering are often less than helpful and would have been more effective had they just donated the money to begin with. I think this is particularly relevant to those who claim ecotourism as a source of financial investment for the parks and as a long-term benefit. Perhaps it should be considered whether ecotourism is really a good financial source or if it, like voluntourism, is an ineffective allocation of funds. I think national parks are definitely a kind of necessary evil. America’s landscape is incredibly diverse, and it’s important for us to preserve those unique traits and make them accessible for people to see and appreciate. On the other hand, construction in and around the parks (e.g., trails, roads, and hotels) disturb the landscapes and kind of defeat the purpose of preserving the land. Pollution is also a big issue; gasoline from vehicles and litter from park visitors cause major problems. It’s important for people to be able to experience natural parks, but we also need to be aware of the effects we can have on the environment while we’re appreciating it. Or maybe (in light of my comment above), for those who aren’t raised living hand-in-hand with nature, the only way that they are going to learn to live with nature is to be exposed to it. As a tourist myself, I know what it’s like to be intrigued by a black bear in the Great Smokey National Park. And as a tourist, I know how wonderful it is to encounter nature. Thus, it is crucial that America continues to preserve and develop the nation’s parks because it prohibits the expansion of construction into these areas, and preserves the natural habitat of those animals allowing them to thrive. In my opinion, ecotourism benefits national parks because it continues to highlight the need for the preservation of nature’s habitat. However, I propose that more education needs to exist about the importance of maintaining the animal habitats. exactly! we need to be mindful of the world around us. The respect for not just wildlife environments but our own environments is super important. We weren’t the first, and certainly aren’t the last humans that are going to inhabit the Earth, so we need to realize that the Earth isn’t ours to trash! If someone is genuinely curious about nature and traveling to experience all that it has to offer, great, but they should take it upon themselves to be just as genuinely concerned with our the impact we can have if arent respectful towards wildlife their rightful space. But what if we don’t promote the protection of wildlife? In the end, that’s mostly the purpose of the national parks. Ecotourism is important for spreading public awareness. Just a thought. If you indicate that people are “uneducated,” what do you think are the best ways for people to learn to leave wildlife alone? Economically and socially, ecotourism is fantastic. The economic benefits it presents are undeniable, and of course everyone should get outside more. However, it is impossible to overlook how the development of such parks is detrimental to the environment. In an ideal world, problems such as delinquent visitors would be nonexistent, but this is sadly not an ideal world. I think overall the pros outweigh the cons, and I therefore believe that ecotourism is overall helping us as a nation; that being said, what we need are more developed methods of sustaining these parks, ways to enjoy them without harmful human interaction. In short, if we can minimize human impact, then ecotourism is ideal; thus, it is good for our parks, all things considered. Interesting. Any ideas about how we can make the parks accessible without the need for habitat-wrecking infrastructure? Although it sounds like an ideal solution, the parks might start to lose interest in tourism without the benefits of city life. Most people want to visit parks for a good time, not have to “rough it in the wild.” The infrastructure is vital to the success of the parks because not only does it provide means for “necessary” survival for most, it provides educational information on how to keep the parks clean and healthy. I am not saying that there can be too much infrastructure, but I am saying that there can be too little, which in turn will hurt ecotourism. You say that most people want to visit parks for a good time, not to “rough it in the wild,” but (at least in the opinion of myself and many others I have talked to) that is the whole appeal of parks themselves– to enjoy oneself by roughing it in the wild, so to speak. The natural setting and escape from city life that national parks offer is precisely the allure of ecotourism for many people. I don’t think that reducing the extent of the “infrastructure” created by ecotourism will really be that detrimental, as so many people enjoy the parks because of the lack of industrialization, technology, and city influence in general. However, doing so will indubitably reduce the strain ecotourism places on the environment. I agree about stricter laws and fines. That would help a lot especially if the increase in tourists is hurting the environment the extra money could be used to counter balance that. Ecotourism has its defaults, but it also has some positives. One default is that we need more funding for the national parks. One positive is that is has created tons of jobs, and brings up revenue. If we set aside national parks for our wildlife and forests, why should we harm them at all? I believe national parks should be all hands off, otherwise it isn’t really all that natural. There are pros and cons for ecotourism. But I been Eve that even though there are cons to the industry, it is still a necessary one because of all of the other pollution causing industries which shrink nature and the environment around all of us. I agree with your statement. Yes, it is good for people to go out and see nature, but we do have to draw a thick, bold, line with ecotourism. It would destroy our national parks and the animals that live there. I do not believe that it would be nature if we keep on bring in more and more people because it would bring down most of the trees, the fresh air, and scare the animals away. I believe that our national parks would be hurt and stop people from wanting to go there if it continues. I feel like it’s hurting our parks. Because things are slowly beganing to die off . And things began to get used up and not look nice anymore . so would you say that the excessive numbers of people visiting the parks is leading to the destruction of said parks? that those people who spend their hard earned money to visit many of these parks should save that money for better things since they are also destroying everything we work to preserve? i would say so but it seems you might want to elaborate on your decision. Your response is a great explanation of the compromise between wilderness and human involvement. On one hand, you put value on the idea of wilderness, which would suggest a lack of human involvement and letting something be truly “natural.” At the same time, you support the idea of ecotourism and the park services to enhance the area for human consumption. I agree with you, but I think the more interesting part is how these two very competing ideologies can come together. Ecotourism has a positive and negative side. I believe that it is very important for people to be able to go out and see what we are trying so hard to protect, it gives us an appreciation that we would not otherwise have. Fighting for a goal you will never actually see really takes away from the urge to fight. On the other hand, there needs to be strong limitations behind what is allowed in the goal of Ecotourism. Too many people going and visiting these parks can and does really hurt the environment of these parks. too many visitors do not realize how fragile these environments actually are. My understanding of the concept of Ecotourism, is that it is an effort to conserve an area/animal(s), in the environment, by bringing revenue to help in the conservation efforts. Now, I do see both sides of the argument, and I think it is imperative to acknowledge the pros and cons, before developing an opinion. Having said that, I think that Ecotourism is helping our national parks more than it is damaging them, because the individuals, who visit the parks, have to pay some type of fee, which ultimately creates revenue to help the ecosystem. Possibly reinforcing the no feeding animals policy would help as well. Some of the people who do camp just leave food lying out when they leave or feed animals directly when they come near and it domesticates the animals. Ecotourism has its’ advantages and drawbacks. What is the drawback for ecotourism? I we can not efficiently control the population of tourists, too much people would definitely become a threat National parks. However, approximately use these natural resources, it’s not only earn some profit, in order to maintain all the facilities, which have been set up for entertainment, from these national parks, but also can be the best environmental teaching material for children and adults. Ecotourism is helping our national parks make a profit while wildlife is being threatened. There’s no doubt that ecotourism has it’s benefits and drawbacks; benefits include the creation of jobs and increasing the awareness of species in the wild and its drawback are that due to interactions with humans, many species are losing their wild side. In the end, it seems, humans are benefiting more from ecotourism than the animals themselves and nature. Putting aside the pros and cons debate, a question comes to mind. What type of visitor are you? When visiting a national park, or a smaller one as well, are you the one trampling through unmarked woods? Picking up rocks and branches off the ground? Throwing trash where ever you please? Or are you the ones who pick up the garbage, keep everything where it belongs? It is important to look at your own action, as even small actions prove helpful or hurtful. Individuals play a role on the wellbeing and upkeep of national parks, and one step everyone should take is what is their personal role in the fate of national parks. I agree that this is the most important aspect of this is how visitors treat the parks in the time that they spend there. In an ideal world, every visitor to our national parks would take care to leave no trace of their visit, but realistically I don’t think we can expect that. What we can and should do is make every effort to educate visitors of the importance of leaving no trace on their visits to parks. As Elizabeth said in another comment, the public is highly unlikely to support a park that they are not allowed to visit, so I don’t think that closing these parks to the public is a feasible option. The best we can do is to provide visitors with all of the reasons why it is so important for them to play a part in preserving our parks, and hope that the teachings stick. I absolutely agree with you; we all have a duty to take care of our parks. Do you think there’s any way the National Park Service could further educate people on the importance of taking care of national parks? I know it might seem like common sense to pick up your trash, but I think it would be really beneficial to have more frequent and informative signs or fliers that remind people to do the right thing and teach them proper park etiquette. I know a lot of people aren’t aware that it’s against the law to remove rocks, sticks, and other small objects from the park, and I’m sure it would help maintain national parks if more people knew about that law. I think most people who visit and are ecotourists would be better to their environment anyways. This is a very good point and even though more people go it actually will contribute fiscally to help the environment and the visitors are extremely conscious of it as well. I laugh in the face of these words. There is nothing sustainable when it comes to tourism. You go to places to explore, have your way with the atmosphere then leave. I personally love parks and woods where I can walk around for hours. The way you walk around is a big factor when it comes to ecotourism and how it impacts nature as a whole. If you are like John Muir walking throughout the forests go right ahead, but if you are blood thirsty negligent nomad then be gone. Realize nature was not put on earth for your benefit, you are part of nature. Every little step impacts something, everything has a complication attached to it. Ecotourism has its benefits and it has way more cons but these lands are better being parks instead of land fills for our trash. The simple fact of the matter is that no public is going to agree to financially support a park that they are not permitted to visit. Instead of wondering about the impact the visitors are having, why don’t we consider adding educational programs to help enrich a park visitor’s experience? Part of the check-in process could be a well-considered lecture about how to leave no trace. Maybe if we tried educating people instead of lamenting the damage the uneducated leave behind, we’d find we make more headway. You have a point about people not financially supporting parks that the public is not allowed access to, although I am not sure lecturing visitors would help curb the problem of misbehaving park visitors. A cheesy video with lots of humor would be better than a lecture. Fliers, signs, and handouts are different approaches that might even work. Either way more educational programs would most likely benefit the preservation of the parks. Is it so wrong for the public to know that there are some parts of parks (although they are public entities) that they’re not allowed to go into? Not everything needs to be accessible! While I agree that educational programs would be a good feature to add in order educate visitors on the parks, I do not think lectures would be as effective as other methods. I agree with Katelyn that a humorous video would likely have more of an impact than a lecture since many people would likely doze off during an unentertaining lecture. Also, I think another way to add a component that educates the public about conserving these parks could be to have all the tours focus on ways to not leave traces behind before they even begin touring the area. Overall, I agree that educating the public could definitely help to reduce the damage done to America’s national parks. Or are there projects that visitors to the park could do? That would be a great way to have more education through action! Our national parks cannot exist without ecotourism. The general public provides funds to maintain the parks, whether through the federal government or donations. Their choice to donate often comes from appreciating the parks in person. Ecotourism is necessary in order for future generations of children to learn about and take an interest in nature. Without implanting a love and respect for nature in our children, our national parks would be doomed. Providing more educational opportunities for people to learn about respecting the land is most likely going to have little impact. In the end, people know that they should not leave their trash on the ground or run off the path into the wild. They do it anyways; people are always going to do what they want with little regard to rules and regulations. Parks could try to increase security and build trails around the edge of the property instead of through the middle, as this decreases the wildlife’s range of habitat. Ecotourism however, cannot be eliminated. The public has the right to walk the lands of their country, and nature exists so that we may experience it and be awed by its beauty. One of the thing that was not mentioned in this article is that while National Parks are a protected area, there is mining going on right next door! So while sustainable tourism has a lot of drawbacks, it can also bring light to some issues and inspire people to protect those spaces. I mentioned that the cases of visitor misbehavior but it could be easily avoided if people were more educated and if there were more volunteers and rangers spread out around the park to prevent those situations. Of course, it would be difficult to do so in Yellowstone or the Everglades, but feasible. There can be a compromise between environmental conservation and human activity. According to my understanding of ecotourism, it is suppose to generate revenue for these parks because people are paying to get in there However, if visitors are interfering with the animals when they visit these parks, then i believe ecotourism is hurting the national parks. Despite few demerits that accompanies ecotourism, it is largely considered a major sources of revenue generation for both Federal and state authorities.It commands unflinching merits on both mental and physical well being of individuals. Authorities should therefore embark on massive public education sensitization about the said shortcomings and institute law enforcement to remedy the situation. I agree with your point on educating the public, which I also think is necessary for us to truly enjoy nature. Ecotourism hurts our wildlife by domesticating the animals. 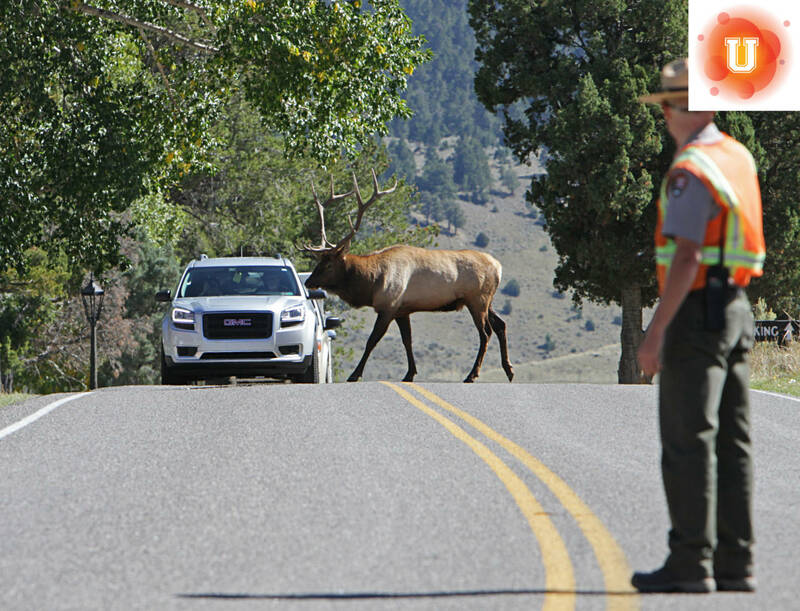 Recently I visited a few different national parks and the one with more tourism had much larger animals. The bison in particular were almost twice as big in a few parks and then others had bison in very small numbers and barely half the size of the larger parks. On top of that the animals which would usually be spooked by too much human interaction were walking right up to groups of people as if they were family. Despite this unintended affect of wildlife becoming less “wild”, the increased interaction between humans and animals allows people to have a heightened understanding of wildlife, and gain a sense of the importance of conservation. Although some of the complete naturalism is lost, ultimately more is gained through the positive effects of ecotourism. In my personal opinion, I am more for supporting ecotourism. It is definitely beneficial for individuals to learn and experience the outdoors, learn about conservation and more. What is also important is the kind of mark we leave on these parks. Like stated in some other posts, do we stay on the paths marked for us, or do we alter how the parks look by taking rocks or leaves, and more? If we do not educate individuals about how to maintain and conserve these parks, we will end up doing more damage. I agree with you completely. National parks are a source of recreation and education for the masses. Depriving the population of this would be very unfortunate. I also agree with you that the public must be informed about the effect humans can have on these parks. Without this knowledge, humans will continue to deplete the parks of their beauty and resources. I am pro ecotourism, it allows people to get outdoors and reconnect with nature. It is also a great learning tool for elementary and middle school aged students. The interest and preservation of national parks should be sparked at a young age so in turn we have people who will want to take care of these lands in the future. The fee often paid by visitors is used to help with conservation of the park, and the majority of parks have brochures and or signs in the entrance to let visitors know what to do and not do while visiting. I believe these parks do a lot of good rather than harm, and the more people visit the better appreciation they will have about conservation. Shannon Tho – Yes, I think the pros of ecotourism outweigh the cons. They are very educational and just inspire visitors to appreciate nature. I don’t think there was ever anyone who visited a park and left with hard feelings. There is something so calming about immersing oneself in nature that you cannot help but feel inspired, maybe even inspired to help the environment. This article was a great read! I had never considered the pros and cons on Ecotourism until now. I am definitely pro ecotourism after reading this article. The idea of ecotourism is a great idea for natural areas for many reasons listed above such as economic growth, increase in conservation awareness, great for mental and physical health, etc. The only real issue making ecotourism seem somewhat negative is the people visiting these natural areas. An improvement that could be made is creating less of an impact that the people can have on the natural environment itself. In addition, these areas could put up more signs for visitors reminding them not to litter and not to interfere with animals in order to spread more awareness. Shannon Tho – I agree as I have never thought of the cons of Ecotourism. I only saw the benefits of making the public aware of the environment by bringing more people to national parks. But yes, there is great responsibility in those visiting to not pollute the environment. Although, the cars driving through could bring added pollution in themselves. My family and I quite enjoy going to natural parks, and we have seen firsthand some of the effects of ecotourism. One example that comes to mind is over last summer, when we were camping near the Grand Canyon. The elk there had zero fear of humans and actually entered our camp on several ocassions, even while we were outside making noise – that cannot be natural behaviour. On the other hand, the elk population definitely was thriving and did not seem to be threatened, unlike in other parts of the country. I think it works both ways – wildlife is protected by natural parks (which is a good thing), but at the same time their behaviour will change. I think that protection is by far the more important factor to consider. I agree that animal protection outweighs any negative effect that may come along with ecotourism in national parks. Ecotourism is never going to be perfect, but it provides so much as far as educating individuals and preserving nature. Without ecotourism in national parks, nature would be even less of a thought in the minds of Americans, and, as you pointed out, animal populations would drastically decrease. In that sense, these national parks can also be good research stations, such as through the reintroduction of wolves. In that one act, the entire ecosystem seems to have improved. I believe that ecotourism has a positive impact on our national parks. In today’s age of electronics, many people neglect the opportunity to venture out into nature. Because of this travesty, people often do not perceive the value of the great outdoors, and in turn, they do not take national parks seriously on visits. If there was an increased level of importance placed on ecotourism, however, many of our current issues regarding unintentional destruction of national parks would subside, as people would be educated on how delicate and precious nature is. Unfortunately, ecotourism is not the ultimate answer to ending human destruction of national parks, as it increases the need for infrastructure in these areas and increases human-animal interactions, but I believe it provides a great base to build upon. I can’t help but feel that it could end up doing more harm than good. No matter how careful you try to be, there will always be careless people. Even if there were guides or rangers accompanying the ecotourists to keep an eye on them, it would be difficult for one person to monitor every member of their group at one time, and impractical/a waste of resources to attempt to have a personal guide assigned to every individual visitor. What I’m trying to say is, I think it would be very hard to ensure that there was /actually/ no trace left behind. Not to mention, as this article says, many animals would likely just change their habits to avoid humans. This could end up being unhealthy for the animals and ruin the whole point of having the ecotourism in the first place, since the tourists would not have much to see. However, the idea obviously has merit. I definitely agree that there is a need to educate and excite the public about wildlife conservation. If there were a way to guarantee that the ecotourism wouldn’t negatively impact the environment at all, I would support it in a heartbeat. As it is though, I don’t think we can. Perhaps a better idea would be to have wildlife specialists who truly know what they’re doing photograph/video the wildlife, and include the pictures and/or videos in vivid, interesting little informational books and movies which could be sold by the national parks to promote the protection of wildlife. Maybe that would have less risk? And though it’s true that pictures and videos probably aren’t as effective as seeing the real thing up close and personal, maybe it could act as a motivator for people to want to work in wildlife conservation so they COULD one day occasionally see the real thing, and help protect it. While it is true that in order to learn we must first make mistakes, I get scared that approaching our environment in this way can hurt us more than we ever imagine. For this reason, we tried to aim this article to make an argument of education before outright action in our natural parks. True, there is no way to stop visitation – my own family has been inspired to go to a new National Park every summer because of how much we love them – this article is by no means an argument to do such. That’s why we attempted to encourage taking a simple review of leave no trace ethics before ever hitting a trail, as they can do so much in preserving our natural lands. But as a society, we have to do more than make the education commonplace. It is my dream that the United States will one day have mandated environmental science courses in pre-university curriculum. But this has to come from a place of intention to commit to change and intention to inspire the generations, not simply an afterthought of an easy-A AP course (as it was seen in my own high school). It has to be put forth in elementary school and continued in pieces throughout education so that all disciplinaries become concerned with the issue. The environment is not a sidenote, it should be at the forefront of industry. I feel that ecotourism certainly has its pros and cons, but is primarily positive. Ecotourism is beneficial to the economy and is a safe, wholesome form of recreation for families and individuals. My suggestion is to implement rules and regulations into the ecotourism industry to try and conserve the beauty of natural parks. One area of regulation in particular could be with human contact and wild life, because this is a recurring issue with ecotourism. I believe that ecotourism can be extremely beneficial, through increased revenues, increases in health and well being, and increases in the effectiveness of conservation efforts. However, I also believe that ecotourism could be enhanced by efforts to control the impact tourists leave on the wildlife. Limiting human influence would minimalize many concerns by critics, such as the unintended effect of wildlife becoming more desensitized to human presence, as well as the negative impacts that families straying from trails can have on plant life. I completely agree, but how could the national parks limit human exposure, while still promoting ecotourism? It is a controversial idea. It seems that a rational idea would be to fence the park to limit humans in the area. However, that would replicate captivity as seen in zoos in nature. Therefore, it seems that it would encourage a destruction of animal habitats, as animals are confined to a specific area. It is a difficult concept to solve, and I believe there are several different ideas that need to be combined to effectively solve this problem. While ecotourism has many good and bad elements, the negatives do not outweigh the positives. I believe that since it is unlikely for ecotourism to lessen, educational programs and other initiatives need to be enacted in order to preserve the parks. One suggestion could be that visitors are only allowed to tour the park with a designated guide so that they do not wander off into areas not designed for human interaction. Also, I think parks could incentivize a reduction of waste throughout the parks by introducing fees for anyone seen littering or taking wildlife (plants,etc) from the park. Ecotourism is a great tool for educating the public on the importance of conservation and allowing them to experience the beauty of nature. But we need to respect the environment. As long as humans do not litter or pollute nature I believe ecotourism is very beneficial. I agree. There should be a significant amount of respect for the environment, and I think ecotourism has more good outcomes than the bad ones. I know it can be difficult to see wildlife and other elements in harms way, but I feel like it’s price we’ll have to pay to better help the environment. Despite, the harms of Ecotourism, they’re seems to be no greater option than modern methods. It’s sad that even with people being educated or having the opportunities to be educated about the land they are on, there is still so much harm done just by being on a trail and disturbing animals. I believe parks due their job to attract people onto the land, but now we have to care for the land we have come to visit. Public Revenue and monetary benefits of parks are never bad; it’s just tricky to find a balance between making money and treating the land as we should. I believe that National Parks have a great social aspect going on. They attract many tourists and the wildlife is, for the most part, taken well care of. But within these parks, we need to realize that we are in an environment that needs to be taken care of. We also need to be aware of our surroundings and take initiative to clean up and keep track of the park. Everyone can do their part, and each little thing counts for something. Yes, people can be absolutely rude and untrusting but on the other hand taking away the opportunity to visit and see these beautiful parks would be so upsetting. I grew up visiting National Parks and it was such a fantastic experience for me as a child. It opened my eyes to so many amazing animals, plants, and natural structures. There needs to be strict rules and perhaps the people coming in have to be watched with a close eye, but I do not believe people should not be allowed. If people are found doing something wrong, they should be banned. There just needs to be a hard set of rules and they need to make sure they are being followed. People just need to step up and tart realizing that there are consequences for their actions. I feel that ecotourism has both pros and cons. In this day and age there are so many people and the visitation to National Parks has sky-rocketed. This calls for more people to be employed I feel to maintain the park. The other factor I think is important, is that while safety is always an issue and a priority, National Parks are meant to be kept wild. They were set in place to maintain the natural beauty that they hold, and we shouldn’t begin to mess up amazing areas by doing vast amounts of construction to make places more accessible. Places such as Angels Landing in Zion can be very dangerous, and the addition of safety bars I think is overall helpful. But it works in this situation. Unlike other places, Angels Landing has a reputation for being a harder to get to place, and is an adrenaline junkies dream. Therefore it needs to have precautions, but not so much that it distorts the original state of the site. In other cases I believe not as much needs to be done to make everything accessible. The main factor in this, is how the visitors will treat the park. If people respect the rules set down by the park I feel that it can allow for more to be added for visitors because the park will be respected and in good condition. The International Ecotourism Society says that, “Ecotourism is a growing segment of the global tourism industry that is making significant positive contributions to the environmental, social, cultural and economic well-being of destinations and local communities around the world.” I agree that it has many positive contributions. And I feel that finding new ways to help maintain natural beauty in our world is very important. But we must be careful to not get too ahead of ourselves, and remember that these places are wild, and if we try to change it too much it won’t be the same. Ecotourism is an overall good idea, the definition incorporates the idea of preservation, personal responsibility, and cooperation/mutual respect for the environment. However, the fault lies within the individual. We, as a society, can make an effort, but it ultimately comes down to the individual visiting the park. Ecotourism is helping the parks rain awareness and increasing the number of visitors, however, this increase in visitors has had negative effects on the wildlife and natural environment. I think we need to continue to raise awareness, increase security, and practice preservation. Keeping wildlife wild should be our biggest priority, we need to be aware and respectful of our impact. individuals can do to help”. Ecotourism is most definitely a good thing. The whole point of a national park is to preserve the land, so that generations of people can experience the beauty of the park. Ecotourism ensures this. People need to be responsible while in the parks to do their part, because the National Park Service is working its tail off to keep the parks beautiful and accessible for everyone. Ecotourism helps make the parks’ wonder available for all to capture, and also ensures that the parks’ beauty remains effervescent. I think that there is a ver thin line between preserving our national parks and making them more accessible. Since there are merits to both since a more accessible park system would provide more nature for more people but making a more accessible park system does take away from the wildness of parks. We could keep our parks at their natural beauty but we would have to compromise their tourist appeal. Or we could make the parks more tourist friendly but that would compromise what most people love about national parks. I think that parks should stay wild. National parks are too civilized. There are too many buildings and paved roads that it takes away from beauty and wilderness of the national park. The whole vision behind national parks is to preserve the these beautiful pockets of nature throughout our country. I know national parks are also intended for people to enjoy them as well. However, this problem of human interference/vandalism has been a problem for a long time. There are always going to be mischievous visitors to these parks so it would be near impossible to vent out bad guests. But the solution lies within the accessibility of the national park itself. If there were not so many paved roads and buildings and other human influences on the park accessibility would be made instantly more difficult, limiting the ecotourists willing to tackle these preserved nature hotspots. Fewer visitors will further preserve our beautiful national parks. Teddy Roosevelt was one of the first presidents to have national parks on his agenda. He wanted it for preserving the wildlife in the area of North America. Now it does more than just protect the wildlife, it protects the landscape of growing America. “Americans developed a national pride of the natural wonders in this nation and they believed that they rivaled the great castles and cathedrals of Europe,” explains David Barna. This shows when you go to major national parks in America you see a verity of people there observing the beauty. National parks were originally established to protect the integrity of the natural wildlife (https://www.nps.gov/aboutus/history.htm). Today, however, they exists largely to entertain the public. This is in part because they rely on profit gained from ecotourists to contribute to the upkeep of their parks. With more and more people visiting parks each year, they are straying further and further away from their original state of pure wildness (http://www.nationalgeographic.com/travel/top-10/national-parks-issues/). The question then arises, should parks be made safer to prevent danger to visitors, or should visitation of the park be exclusive to people who are skilled and fit enough to endure the wilderness? While tourism is important, the parks were originally designed for the wildlife, not for the people. The best compromise would be to designate a certain portion of the parks for all visitors, and leave the rest of the park open to people at their own risk. This way, people could still visit and enjoy the parks, but the rest of the park would be able to remain wild. Ecotourism is important due to what it literally means as it’s ‘responsible travel to natural areas that conserves the environment, sustains the well-being of the local people, and involves interpretation and education.’ https://www.ecotourism.org/what-is-ecotourism Ecotourism offers positive contributions to social, environmental, and social well-being for national parks. As long as these values remain, I think that ecotourism is a good thing for national parks and similar destinations.